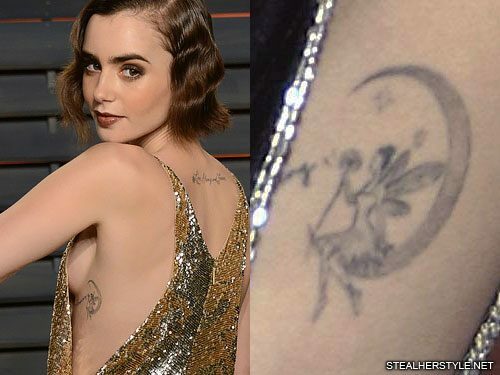 Lily Collins revealed a new fairy-tale-inspired tattoo on her left side at the Vanity Fair Oscar Party in February 2016. 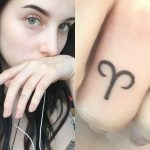 The dreamy ink shows a little fairy sitting on a crescent moon blowing dandelion seeds into the wind. 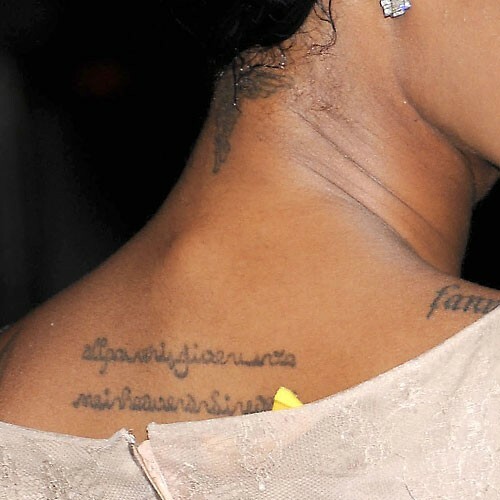 The writing next to ends with the words “fragile thing,” though there may be more text hidden below her clothing. 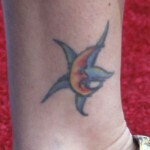 Jamie King has two large tattoos on her lower back. 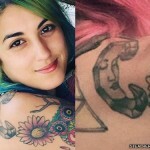 One of them is a woman with blue skin. 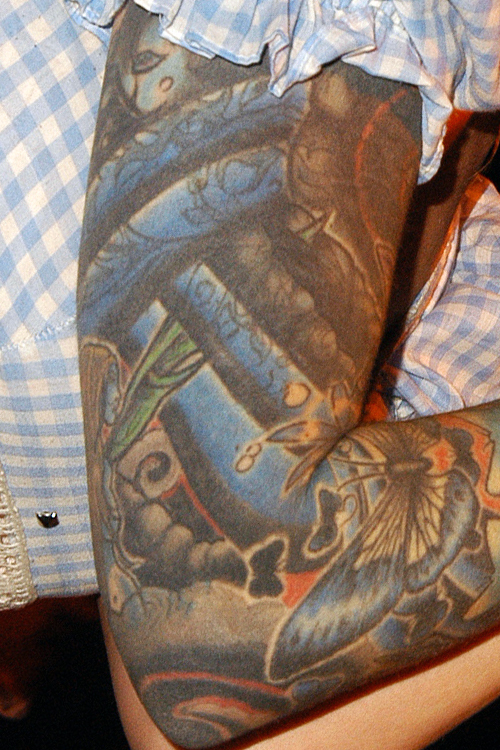 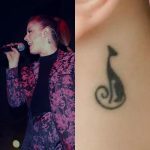 Maria Brink has a nature-inspired full sleeve tattoo on her right arm. 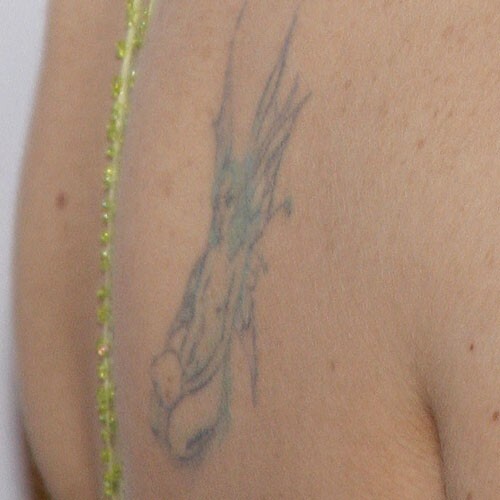 From her elbow up is a dark background with butterflies, flowers, and winged fairies. 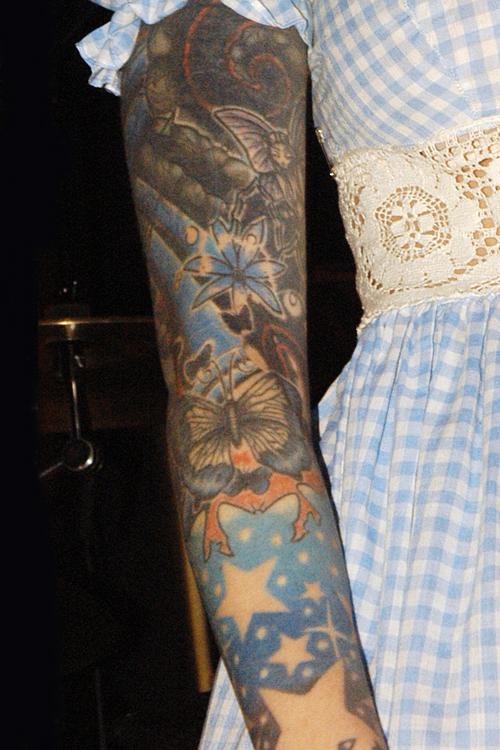 Her forearm is a bright blue with skin-colored stars of varying sizes in the negative space.